I was scared of bees until I got a real beehive for my 40th birthday (now that was a surprise party). After watching their fascinating, intricate lives, I came to love bees (although I still wear a protective suit!). Honey bees and humans have been partners for 20,000 years: we give them homes and they pollinate our food crops. 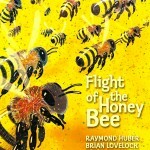 But the world’s bees are endangered so I wrote this book to show how intelligent, essential, even appealing, bees are. 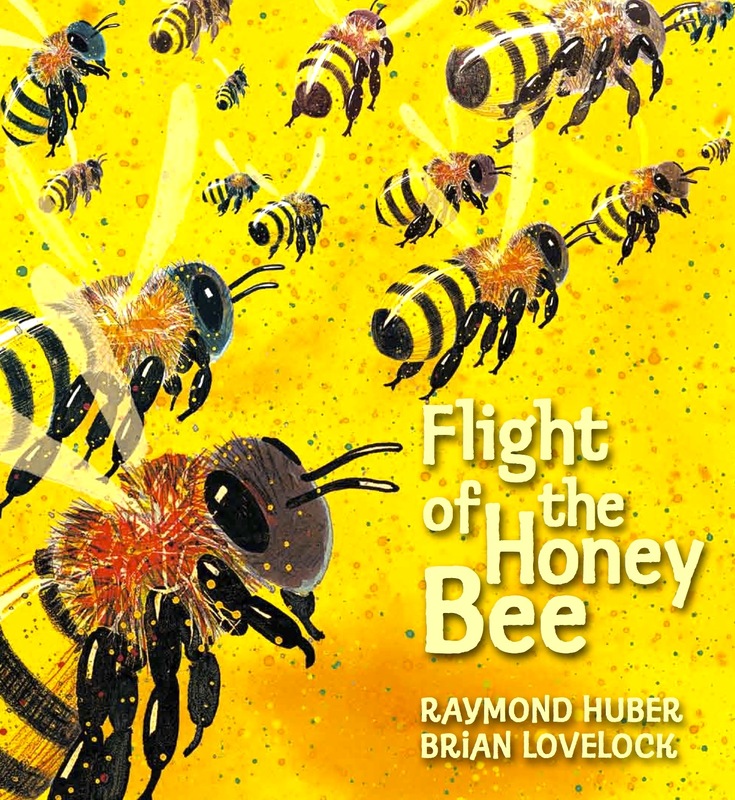 I imagined all the challenges a tiny bee would face: wasp attack, hail storm, and birds; probably more drama than a bee meets on the average flower run. 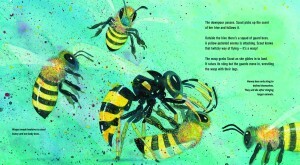 I wanted a sense of a bee’s experience while avoiding extreme anthropomorphism (eg. in The Bee Movie). 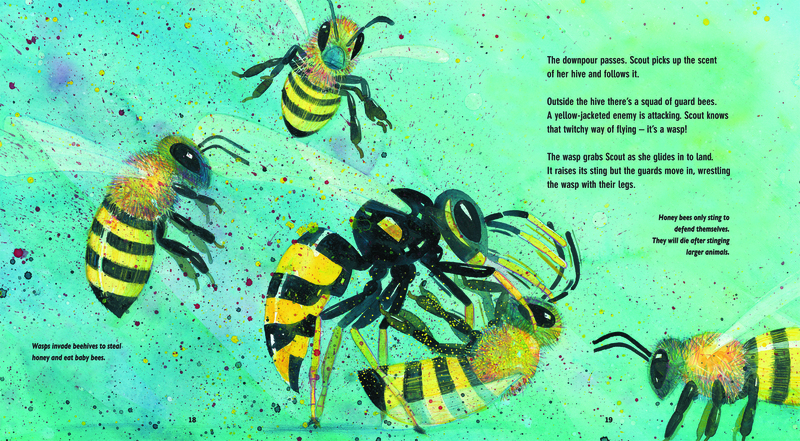 Writing a picture book is a bit like writing a poem – every word has to work hard in a confined space (like a bee) to create character and story; to be economical while still delighting the ear. I was inspired by the picture book Bat Loves The Night by Nicola Davies, which is poetic science at its best: “With a sound like a tiny umbrella opening she flaps her wings”. 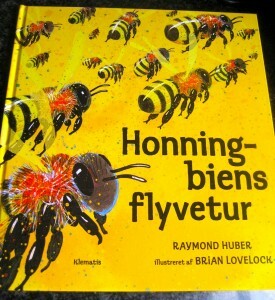 Here’s the Danish cover: I love how ‘honey bee’ translates to ‘honningbien’, and ‘flight’ is ‘flyvetur’ (it’s like ‘the honey bee’s flying adventure).